← Who Are the Leading State Sponsors of Terrorism? Posted on December 30, 2017 by Eric Zuesse. The CIA, and the entire U.S. federal government, is presented there as servicing the aristocrats (the billionaires) not only in the U.S., but in the countries that are allied with the U.S., America’s vassal nations. America’s taxpayers are funding the protection of foreign billionaires — the individuals who control those vassal governments — in addition to funding foreign land-clearance operations to benefit America’s billionaires. Normally, this fact is simply unpublishable inside the United States, but it’s essential for any American voter to understand in order to be able to vote in an accurately informed (instead of deceived) way; and Harpers should therefore receive an award for having had the guts to publish this customarily unpublishable information. Unfortunately, it’s not the type of article the Pulitzers etc., grant awards to. That’s how the American Government and its media have so successfully kept such crucial information a secret. Thus, for example, Pew was able to headline on 15 December 2014, “About Half See CIA Interrogation Methods as Justified”, and they reported that: “51% of the public says they think the CIA methods were justified, compared with just 29% who say they were not justified; 20% do not express an opinion. The new national survey by the Pew Research Center, conducted Dec. 11-14 among 1,001 adults, finds that amid competing claims over the effectiveness of CIA interrogation methods, 56% believe they provided intelligence that helped prevent terrorist attacks, while just half as many (28%) say they did not provide this type of intelligence.” But, in fact, the reason for the waterboarding and other tortures wasn’t to find truths (such as those 51% had been deceived to think why tortures were used), but instead to ‘find’ (i.e., to provide fake ‘evidence’ for) lies, which they could then use to convince the public to believe America’s case that Iraq needed to be invaded — and invaded urgently, not to wait for the U.N.’s weapons-inspectors to finish their job. Bush and Cheney demanded the CIA to extract confessions and other testimonies saying that Saddam Hussein was to blame for 9/11, and only few of the captured suspects in 9/11 even knew enough about Hussein to be able to concoct sufficiently credible accusations against him to be used in America’s propaganda-media; so, Bush-Cheney’s CIA would then turn the interrogation screws even harder against a given suspect, and the waterboard was part of that. Pew found that Republicans were overwhelmingly more likely than Democrats to say that waterboarding and other tortures were ‘justified’. Perhaps a reason for this finding was Bush-Cheney’s having been Republicans, mere partisanship; but, for at least the past hundred years, Republicans have almost always been more effusive supporters of dictatorship in America than Democrats have been. (However, the KKK prior to 1960 was virtually a branch of the Democratic Party in the South, and today’s Democrats remain proudly supportive of the vile Obama, and even of Hillary Clinton.) Without doubt, the Republican Party has generally stood for “authoritarianism” (a.k.a., dictatorship) in America, more than has the Democratic Party (at least until recently); but the anti-FDR, pro-fascist, Clinton-Obama pro-aristocratic Democratic Party might be dominant for long into the forseeable future, so that the two Parties could become more obviously just branches of each other, both representing the U.S. aristocracy equally. In other words: The reason why these men have been hidden from the public for 16 years is probably that our Government doesn’t want the American voting public to know that the whole U.S. torturing program was designed so as to obtain false testimony from these men in order to implicate Saddam Hussein in having caused 9/11, which could be used to ‘justify’ our invading and destroying Iraq as retaliation for 9/11. Although such ‘information’ was not forthcoming, the U.S. Government and its ‘news’ media managed to be able to do it anyway — and most Americans are still successfully conned by this operation, even decades later. It continues unabated. That’s what passes for ‘democracy’ in today’s America (hiding the truth from the public, and constantly lying, does the job). And yet, this country condemns Iran, Syria, Russia, and China, as being ‘dictatorships’, and imposes sanctions against them, on concocted charges, which, however, are far less evil (even if they were true) than the reality of the U.S. Government’s ceaseless string of international crimes (such as destroying Iraq in 2003, destroying Libya in 2011, destroying Syria since 2012, and destroying Ukraine in 2014). Terrorism is, above all, America’s foreign-policy tool. The U.S. Government (and its allies, such as NATO, and the Gulf Cooperation Council) are the supreme masters of the craft. In retrospect — and at the deepest level — maybe Hitler, Mussolini, and Hirohito, actually won World War II’s aftermath. A global repudiation of fascism is thus now essential. At the U.N., America is, every year, among only two or three nations standing up to defend fascism. (Here is Obama doing it in 2014; here is Trump doing it in 2017.) If you didn’t learn about it in the press or on TV, that’s because each year, this news (now become history) is hidden from the public. (For example, even today, the Western press never calls the bloody overthrow of Ukraine’s democratically elected President in 2014 a “coup” — which was perpetrated by the U.S. — but instead they call it a “revolution,” or even a “democratic revolution,” though it actually ended Ukraine’s democracy, and installed a racist-fascist U.S.-allied regime.) Of course, one would expect dictatorships, such as America, to hide the essential facts. But, there is no excuse for hiding this information; it’s hidden only so that the American public won’t be aware of how deep this country’s dictatorship has already become. It’s very deep. And that’s why (as Welna said), “When I asked the Pentagon to visit the lockup, the answer was no.” Of course, the Government shouldn’t even have the power to say no to such a request; but the U.S. Government functions as a dictatorship, no actual democracy — and it invades other countries, alleging them to be dictatorships. On 8 November 2016 when Trump was elected, there was “regime change” in Washington about domestic policies, such as about privatizing schools, and about whether America’s poor should be treated even worse than they already are (as Trump’s Administration is doing), but there is not, as yet, any basic change regarding international policies. Trump fulfilled on Bush’s and Obama’s and Clinton’s promises to relocate the Tel Aviv Embassy to Jerusalem, and his announcement of that long-promised policy is considered by some in Washington to indicate regime-change — a fundamental change in policy in Washington — but it’s not. There has actually been no U.S. regime-change yet, regarding foreign policies — the U.S. Government is the same regime of lies, as it has been (and such as it was, for example, on 7 September 2002, when U.S. President George W. Bush lied that the IAEA had then come out with some ‘new report’ saying that Saddam Hussein was only six months away from having a nuclear weapon), but the language Trump employs is generally more crude than the super-slick liar Obama so skillfully displayed, and this increased crudity constitutes a regime-change of style, but that’s about all, as far as foreign policies are concerned. 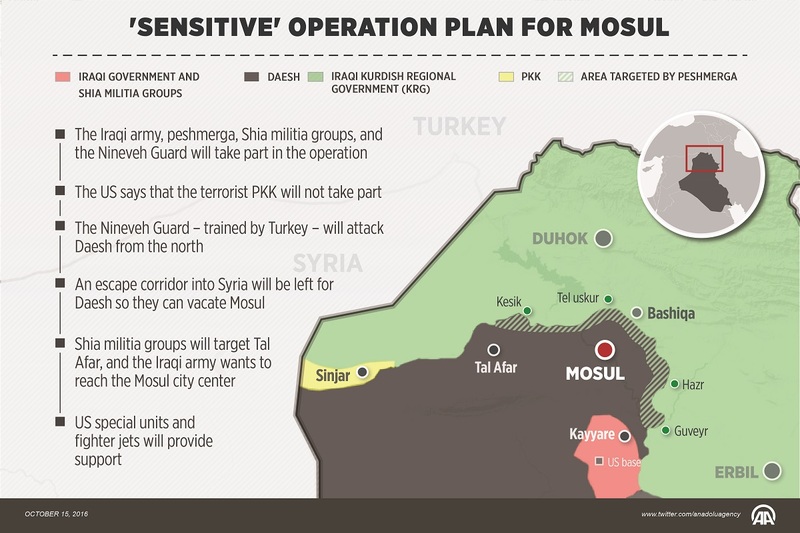 Furthermore, in mid-October of 2016, the Governments of U.S., Turkey, and Saudi Arabia, agreed to provide, for ISIS jihadists who were fleeing from America’s bombing campaign in Mosul Iraq, safe passage to Deir Ezzor in Syria, so as to enable ISIS to reinforce and solidify its grip on that key Syrian city; so that, for example, on 1 May 2017, Al Masdar News bannered “Syrian Army tank takes direct hit from ISIS guided missile in Deir Ezzor.” The Turkish Government’s 15 October 2016 “‘Sensitive’ Operation Plan for Mosul” even stated, “An escape corridor into Syria will be left for Daesh [ISIS] so they can vacate Mosul.” America’s bombing campaign against ISIS in Iraq was, thus, not only a campaign against ISIS in Iraq, but, it was, also, a campaign to assist ISIS in Syria — to strengthen ISIS at Der Zor (which city stands at the exact opposite end from Mosul, along that “escape corridor” — it’s where the U.S. and its allies were wanting those jihadists to go). The aristocracy, in any country, don’t want the public to understand international relations, and why their government is doing what they are doing, because, if the public knew, the aristocrats (and their government) would be in a very dangerous situation. And that’s also a reason why billionaires build and buy all of the major newsmedia, so that the public won’t understand these things. And, of course, no major brand of any product or service will be likely to advertise in any news-medium that violates the collective interests of all of the owners — the billionaires and centi-millionaires who own controlling interests in America’s international corporations. Though some are Republicans and others are Democrats, they all are in this boat together, and so the two sides of the Establishment share crucial things in common, even though they try to present to the public the opposite side of the aristocracy as being either stupid or evil. (For example: whereas the Democrat George Soros is vilified by Republicans, the Republican Koch brothers are vilified by Democrats. It’s America’s political theater, “rooting for the home team,” where “home” is whichever side of the aristocracy the particular audience-member happens to identify with and cheer for.) What the contending aristocrats cannot accuse the other side of, however, is what both sides share in common with one-another, against the public-at-large. And, so, nobody talks about America’s ongoing support for terrorism. It’s not published (with rare exceptions, such as that Harper’s article).